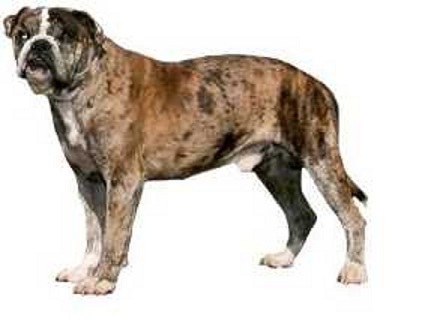 There are not many breeds that have the potential to have brindle and merle occur on the same dog, but this is one of them. The only other ones I can think of are the Great Dane and the Cardigan Welsh corgi. Lurchers (obviously) also have this potential. These dogs are harlequin pinschers. They are a strain of pinscher that was developed in Germany but became defunct because of real health problems that were popping up in the various litters. The problem with this breed is that it was entirely made up of merle individuals. 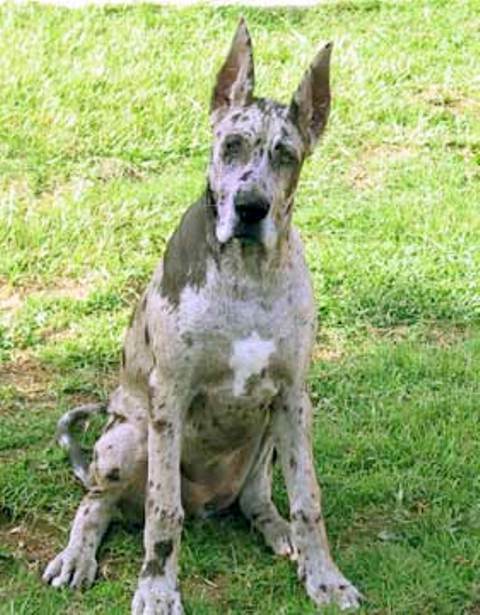 Although one can breed merle to merle and produce healthy puppies, it is also possible to produce double merles that have either deaf or blind or are born with no anuses, ear canals, or eyes. However, it is possible to breed merle to merle and have no problems. Not all double merles are so afflicted, and it does not seem to appear in all breeds in exactly the same numbers. But it still isn’t wise to have an entire breed made up of merles. The breed was recognized by the FCI in 1958, but as far as I know, there are no “true” harlequin pinschers left. Both the standard and miniature pinscher breeds do not come in merles. However, there are people who are breeding merle pinschers. They are crossing small merle rat terriers with minpins, and then breed the rat terrier features out. My understanding is the preferred coloration for the harlequin pinscher was the peculiar merling we see in the harlequin Great Dane. That is probably the trickiest coat color to breed for, and one really must have a good understanding of the genetics to produce a healthy one. The mistake was to breed for the merle coloration alone in the harlequin pinscher. There was a poor understanding of the need for outcross colors, and the potential for producing double merles with defects was simply too great. That’s why the harlequin pinscher followed the English white terrier into extinction. There was simply a poor understanding of coat color and health issues. Maybe the recreated harlequin pinscher breeders will pay more attention to this issue. 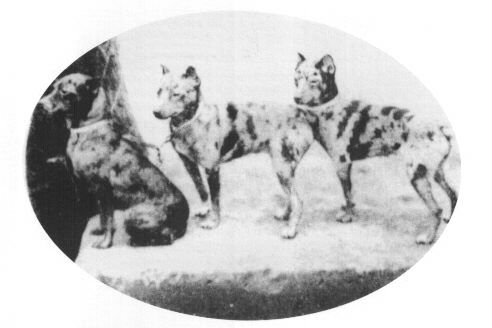 Let’s hope so, because the fad in minpins, as it is in so many breeds, is to get an unusual color. Black-and-tan dapple dachshund. Photo by Erwin Loh. Dachshund breeders in the UK and the Kennel Club are to be commended for this action. Maybe the next step will be to allow dogs with somewhat longer legs so they don’t move around like weasels or mink. After all, this is still a working breed. The smallest doxies are supposed to go after rabbits in pipes and tunnels. Their small size has a function. There is nothing wrong with this color in dachshunds. It just should be bred responsibly. Important note: The dog above is a single-dapple. Her sire was a black-and-tan dapple (silver dapple in every country but the US) and her dam was a solid red. Let’s hope other merle breed fanciers get their acts together. Dapple and merle are the same color genetically. Blue merle Cardigan Welsh Corgi. Photo by Muu-karhu.